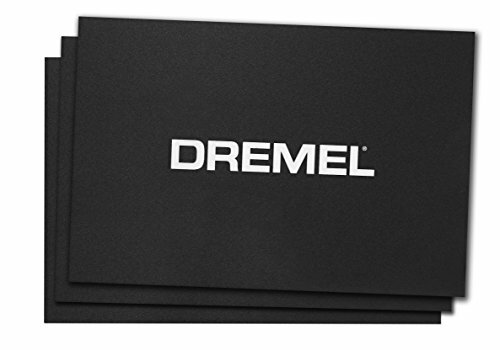 Dremel build tape is a thin, plastic sheet that can be placed on top of your Dremel build plate in order to protect the plate from scratching. The build tape surface is engineered to allow the filament to easily stick to the tape while printing, but also to allow for easy removal once your print is finished. Dremel build tape is meant to be used in place of blue painter’s tape or other similar products and has the added benefit of being a single sheet, so it’s quick to apply and remove. The plastic material is significantly more durable than blue tape, so it will not rip or tear when removing your built part. If you have any questions about this product by Dremel, contact us by completing and submitting the form below. If you are looking for a specif part number, please include it with your message. WINSINN MK10 Extruder Hotend Kit .4mm Copper Nozzle M7 Thread Heatbreak with PTFE Teflon - For Wanhao/FlashForge/Creator Etc.